Self taught artist painting since 2000 and only in oils. 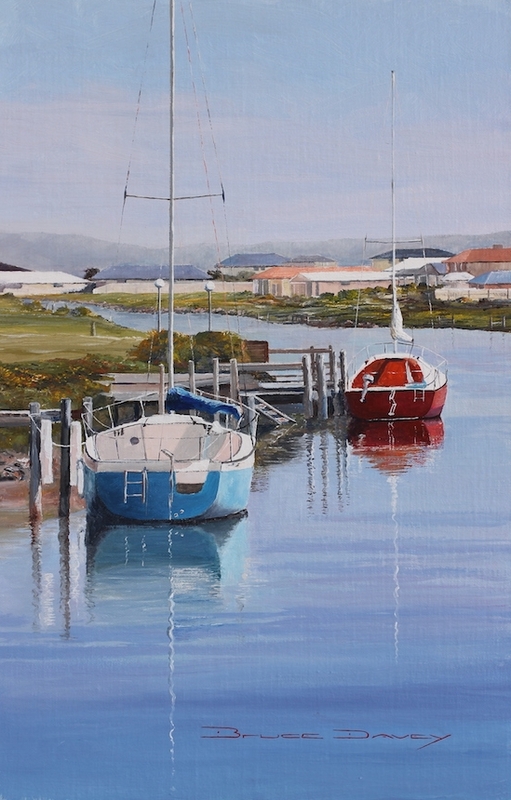 Bruce enjoys painting coastal scenes of Southern Yorke Peninsula, Victor Harbor, cafe scenes and yachts. Bruce always has selling success at Victor Harbor Rotary Art Show, as well as many other art shows throughout S.A. In recent years Bruce has received many awards at Victor Harbor, Yorke Peninsula and Kernewek Art Shows and Australian Artist magazine prizes.